Every end of the year a little cold travels up and down my spine as I anticipate the list of people who will die in the waning hours of the previous 365-day cycle. I know this is not backed by science, but it appears that the end of the year is propitious for the angel of death to come calling. I’ve said before: I don’t want to die at the end of the year or during a major Holiday. As long as I have to die, I would rather go quietly in the middle of the night, after eating Brazilian barbecue the night before. Yesterday, I heard the news that the journalist and polemicist, Christopher Hitchens, died after a battle with esophageal cancer. Mr. Hitchens was a famous atheist who wrote the book “God is not Great.” Though I vehemently reject his views of the world, I read the book carefully and learned from it a whole lot about the atheistic viewpoint, and more specificaly about a more militant form of atheism that wants to pass as “objective” science. I never wished him ill will and do lament that he is no longer around us because people like him make people like me want to stay fresh and not lose the edge. 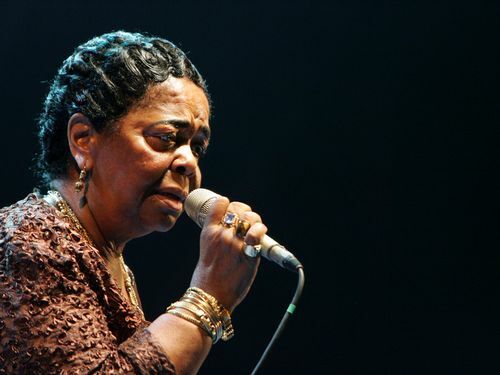 Today I heard that a living legend in the Portuguese music world, Cesaria Evora, the so-called “Barefoot Diva,” also passed away. She sang “coladeras” (dancing music) and was especially known for “morna” (the blues from Cape Verde), a melancholic type of music that celebrates lost love and deep longing. Because I am melancholic, I have all her music. She sings with such depth of sorrow and feeling that I have, at times, wept as I listened to her — for no reason other than empathy for the characters whose lives she sometimes sings about. Speaking of sentimentality, since I was feeling sad, I looked for the music of The Buena Vista Social Club. I first heard them on a long flight to Brazil, as I watched the documentary that made them famous in the U.S. I almost never watch movies on plane trips, but the music these guys performed was purely intoxicating. I couldn’t stop watching. I knew then that I was watching some of the best musicians anywhere. They were seasoned and knew how to have fun. If you know Spanish, you can appreciate the depth of meaning in this song, “Silencio,” by Rafael Hernandez, one of the most beautiful duets by a man and a woman I ever heard. Ibrahim Ferrer and Omara Portuondo sing with so much sentiment about life’s sorrows that I dare say this recording should come with a warning: listen at your own risk. What a beautiful experience listening to it several times today. You will not regret if you listen to it here, even if you don’t know Spanish. Sentimentality apart, though, what difference does it make to die in December or to die in July? In the end, we all have an appointment with destiny so we better be ready to meet our maker. I wonder: Did Christopher Hitchens ever think of that? Maybe yes, maybe no. From what I heard, he insisted on his atheistic outlook to the bitter end. But even though Mr. Hitchens would not hesitate to call me delusional, I still can’t wish him ill.